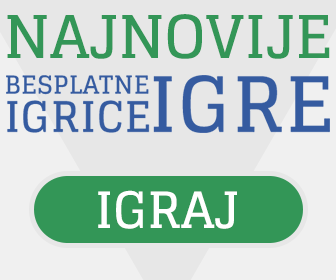 Besplatne Igrice > Igrice za devojčice > Igrice kuvanja > What’s For Dinner? Check out all the Free Online Games at Candystand.com! Serve up a ton of tasty dishes — and hurry, we’re hungry! Pick a recipe and follow instructions on the screens to prepare the meal. Prepare all seven recipes to complete the game. Earn more points for being fast and accurate. How to play: Gather: Click on the item to pick it up. Pick all the listed items as fast as you can! Try not to pick unnecessary items. Peel: Click on the item in the inventory bar put it on the table. Move the peeler over the circled area, click and hold left mouse button and then move it downwards to peel. Cut: Click on the item in the inventory bar to put it on the table. Place the tip of the knife over the circled area, then click and hold left mouse button and move the knife downwards to cut. Squeeze: Click on the item in the inventory bar. Click on and move the arrow button over the popping arrows. Measure: Click on the item to put it in a cup. Click on and move the arrow button over the arrow to lean the cup. Release the button to stop pouring. Measure the exact amount to get maximum points. Mix: Follow the instructions on the timeline. Click on the item in the inventory bar to add it to the bowl. Move the mouse cursor around to mix the ingredients. Grate: Click on the item in the inventory bar to hold it. Move it up and down and try to stay within arrow area. Fry: Follow the instructions on the timeline. Click on the item in the inventory bar to put it in the pan. Move the mouse cursor around to mix the ingredients. Boil: Follow the instructions on the timeline. Click on the item in the inventory bar to put it in the pot. Move the mouse cursor around to mix the ingredients. Bake: Follow the instructions on the timeline. Serve: Finally! The meal is ready. Put it on a plate and enjoy!